There are very few reasons to own expensive sports cars. These aren’t vehicles you take to the grocery store, or drive to work every day. These cars are made for death-defying feats of speed and power. Whether by inexperience or a simple mistake, that speed and power often leads to costly accidents. It is the major reason why some of the top sports cars come with hefty insurance premiums. Why do people pay so much for insurance on these supercars? To most experts, the answer is simple – after laying down $100,000 or more, a few thousand dollars on insurance premiums each year seem like a pittance. After all, these are not the cars of your average American. The cars on this list are owned by wealthy enthusiasts who love speed and the adrenaline that comes with it. If you think it’s somewhat surprising to see a Nissan vehicle topping a list of the most famous sports car names around the world, there is a good reason for it. The Nissan “Godzilla” is a sports car to beat all sports cars. Costing $115,000, this car has all-wheel drive, huge brakes and a dual-clutch manual transmission. With twin turbo chargers and a V6 engine, Godzilla can achieve 545 horsepower. This car can go from zero to 60 in a blistering three seconds. It also comes with all sorts of gadgetry that lets you customize suspension, braking and steering. Godzilla has been hailed as the “affordable supercar.” With it’s top of the line performance, this car is at home on the racetrack, but its price is in-line with mid-level luxury vehicles. 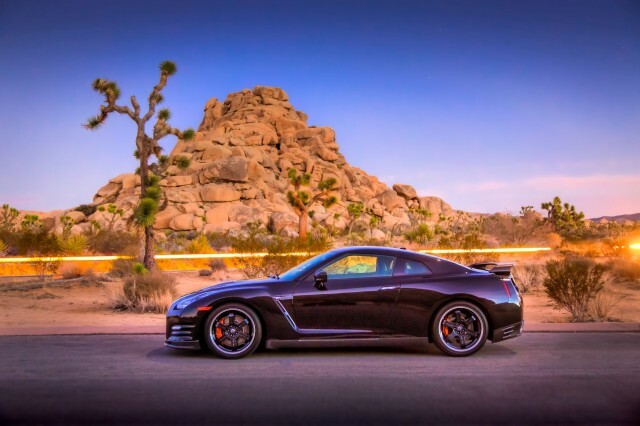 Even though it may not be as difficult to drive as some of the more expensive European sports cars, the Nissan GT-R can achieve amazing speeds of up to 200 miles per hour. What Makes Supercars so Expensive to Insure? While there are many factors that are considered when determining insurance rates, some factors stand out more than others among supercar insurance premiums. Many of these cars are difficult to drive. One example is the Mercedes-Benz SLS AMG. Sitting at number four on the list, this car has many helpful features like traction control and electronic stability control. However, the driver also has the option to turn many of these features off. With this small change to a very finely tuned handling system, even the most experienced drivers can easily make a mistake – especially at the blazing speeds the Mercedes SLS AMG can reach. Another issue that insurance companies look at is driver inexperience and overconfidence. These cars are made to bring out the machismo in even the most laid-back drivers. The Nissan GT-R is an example of a supercar that can quickly be pushed to its limits. This car is incredibly simple to drive, which makes it easy for an inexperienced driver to become overconfident. Without extensive racetrack training, such a driver may not fully understand the limits of the car, and they might not know how to recover from a mistake. The cost of repairs is another factor. No expense is spared in the design of these cars. From excellent mechanical quality and exotic design to advanced electronics and drive trains, the repair costs can skyrocket. To make matters worse, not every component can be repaired. Some of these supercars have carbon fiber body panels. While they improve performance with their light weight, they also shatter on impact. Even the most minor collision often requires replacement body panels rather than a less expensive repair job at a local body shop. Some experts even say that there is no such thing as a “fender-bender” in a car like the Nissan GT-R. With carbon fiber construction throughout – including undertrays and frame components – minor accidents can cost insurance companies tens of thousands of dollars in replacement parts. With all factors considered, many people feel that $3,000 a year for insurance on one of these cars is actually a pretty good deal. After all, these cars are made to be fun – those that can afford to purchase one should certainly be able to afford the insurance premiums that come with it.